As a general rule, I'm nuts for nuts, and I will always pick something with nuts over something without them. 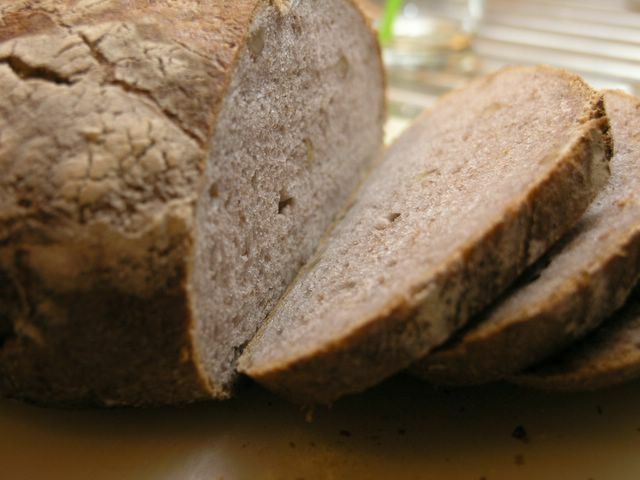 As such, I usually choose walnut bread as my first bread to try from a new place. In this case, this very nice (but fairly overpriced) walnut bread comes from Lux Dessert & Choklad which is a short walk from my husband's office. I look forward to trying more of their breads! Walnuts are my favourite, Anne!